Hotel Gallery, London. Gallery Hotel London. The Gallery Hotel is an intimate boutique hotel situated in South Kensington, near the Natural History Museum, the Victoria & Albert Museum, Hyde Park, Harrods and the famous Knightsbridge. 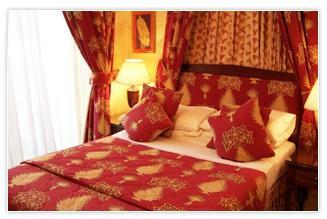 It has 36 guest rooms with en-suite bathrooms and showers. Guests feel instantly welcome at Gallery Hotel. There's something homely about its mahogany paneled reception area, lobby and lounge. The many original artworks, imposing Jacobean Revival fireplace, plump sofas, bar and kilim-adorned side tables give the lounge an oriental feel that continues in the thick pile carpeting. Every piece of art and every piece of furniture has been selected with care. Gallery Hotel is a prime venue for meetings and conferences, offering efficiency, flexibility and quality of service. The hotel's Conference Room and Morris Room can host between 14 and 50 people, with a variety of possible seating configurations (boardroom, theatre or U-shaped seating). For its business guests, the hotel offers high-speed wireless/wired internet access, a separate phone line, photocopying and printing facilities, audio-visual equipment for a fee, meeting room stationery, air conditioning, and 24-hr delegate rate.